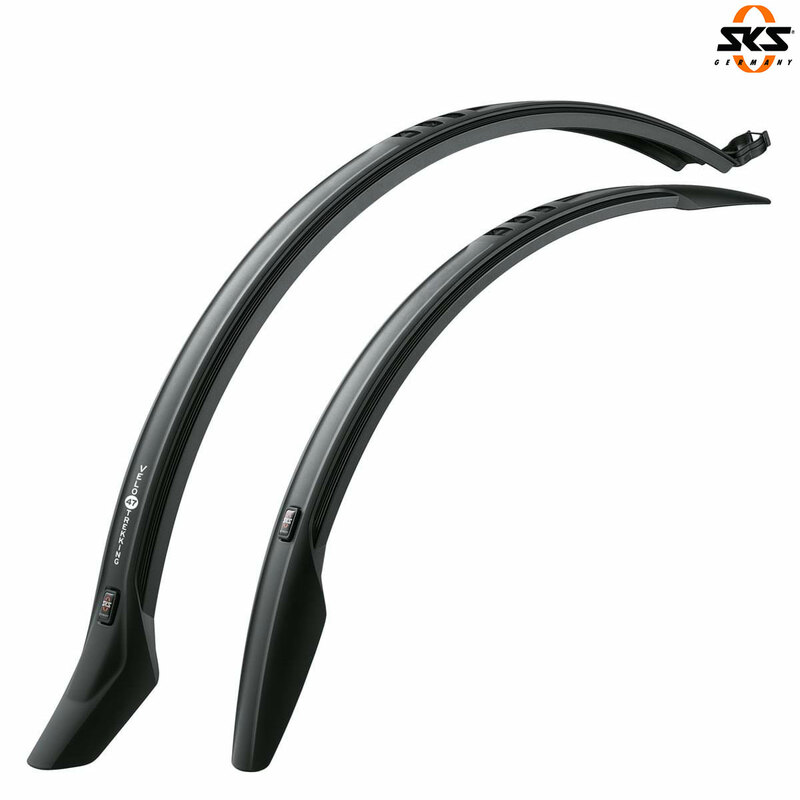 SKS Velo 55 Cross Mudguard Set - 26" - 29"
Whether city or off-road, no matter where you travel, the SKS Velo mudguards are a reliable companion for you.The Velo group covers tyres from 1.95"-2.1" widths and fits with the universal mounting system to a wide range of frames. Extra features are their sporty look and a very quick slide-on and off attachment. For more stiffness optional stainless clip-in U-stay kit is sold separately. - Wheel Size: 26" / 27.5" / 28" / 29"
Will this fit a Thorn Audax? I recently bought a Thorn Audax 495S. I have had to take the front mudguard off because it rubbed on the tyre (schwalbe m supreme 32c). I want to put a front guard on but because I put her in the car I need to be able to take the front mudguard on and off quickly and easily. Would this mudguard fit or would I be better getting the SKS roadrace Pro XL? You should be absolutely fine using this mudguard.